WinTech LLC, creator of the ALICE Virtual Receptionist system, promotes Mike Yoder to the position of CEO. In his new role, he will lead the organization as it expands into new geographic markets, establishes a global reseller network and develops strategic business partnerships. Mr. Yoder has 20 years of experience as co-founder of a technology company whom specialized in employee productivity and business efficiency solutions. He co-founded WinTech in late 2011, where he has served as Chief Technology Officer. “I’m excited about the opportunities we have at WinTech to create products that help our clients provide exceptional customer experiences while improving employee productivity and security,” said Mr. Yoder. 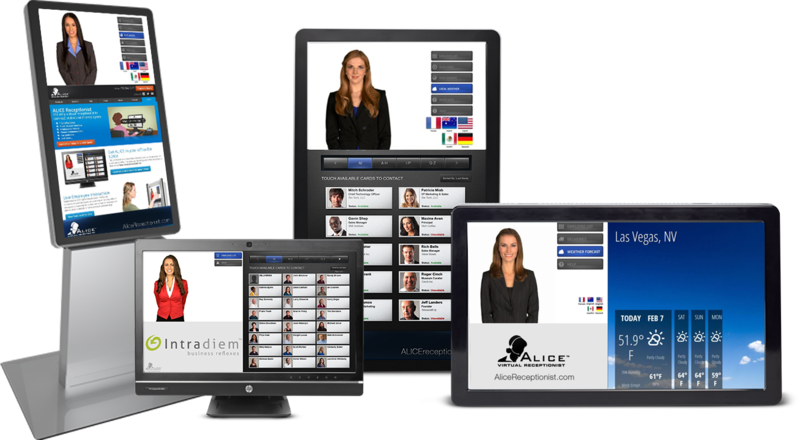 WinTech’s ALICE Receptionist technology is helping corporations and government agencies solve their visitor management challenges while addressing employee security concerns. The touch-screen based system redefines visitor management technology. ALICE greets visitors, registers guest and notifies employees of visitor’s arrival. Utilizing two-way Skype-like video, employees can see and speak with visitors at the ALICE screen from the convenience of their desk or mobile phone. For more information about ALICE Receptionist, visit http://www.ALICEreceptionist.com.